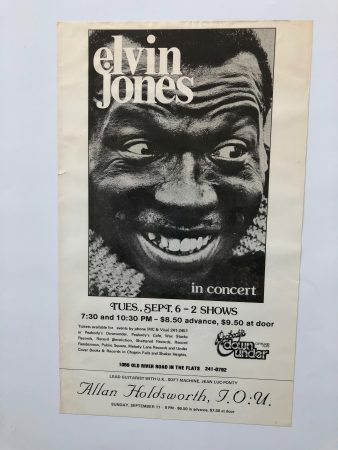 This is an original promotional poster, personally collected by Elvin in Cleveland, OH. Excellent condition. Acquired directly from Elvin’s estate. Includes COA signed by Keiko Jones. Unframed. More photos available.